OLED is a display technology that enables thin, efficient, flexible and bright displays, TVs and lighting devices. 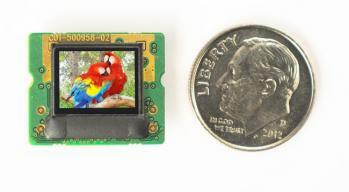 OLED displays offer the world's best image quality - and enables future foldable and rollable displays (see more here - What is OLED?). The OLED market is already a multi-billion dollar market, led by Samsung and LG Display with their smartphone and TV OLED businesses. 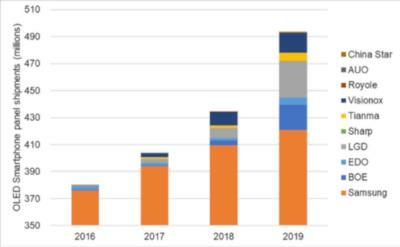 It is estimated that OLED displays generated around $25 billion in revenues in 2018 (and analysts expect the market to continue its fast growth in the future). There are dozens of companies developing and producing OLEDs, from display makers such as Samsung, LG and BOE to smaller R&D startups and IP companies. Universal Display Corporation: UDC is an OLED pioneer, and holds many of the key patents in the industry (mostly around efficient phosphorescent OLED emitters). Virtually all AMOLED displays on the market adopt UDC's PHOLED materials, and the company experienced very fast growth in revenue in recent years. Universal Display's stock ticker is OLED, you can see the OLED share price here. eMagin: eMagin is an OLED microdisplay pioneer, and has been developing and producing such displays for many years, focusing on the defense market and recently also on the consumer VR/AR market. eMagin's stock ticker is EMAN. OLED display makers: OLED display makers can be a good investment opportunity - especially companies that have a focus on OLED displays - such as Samsung Display and LG display, BOE Display and more. OLED equipment makers: There are several public equipment companies (for example Coherent and Applied Materials) that enjoyed the recent OLED capacity expansion as new OLED fabs require new equipment to produce OLED displays. These companies could be a good investment opportunity to investors who believes a new wave of OLED capacity expansion is near. For private investors who want to find early-stage startups, we offer the OLED crowdfunding arena, a new and innovative service! We'll be happy to hear your thoughts on OLED investing - join the discussion at our investment forum! Samsung Display announced today that it has started to mass produce foldable OLED displays, shipping the first such displays to Samsung Electronics. 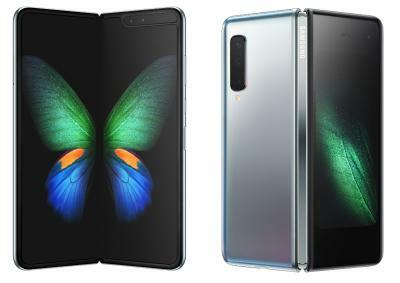 SDC's first foldable OLEDs are the inside-folding 7.3" 1536x2152 Infinity Flex AMOLED displays that will be used in the Samsung Galaxy Fold - which will start shipping later this month (for $2,000) in Korea and Europe. 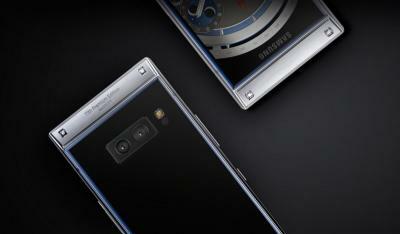 OLED driver maker MagnaChip announced a new initiative to co-develop new technologies for mobile OLED displays. MagnaChip is calling out to partners to combine their technologies (such as touch, stylus and fingerprint sensors) with the company's AMOLED driver technology. MagnaChip's goal is to create reference designs and IP that will enable smartphone and other device makers to include new technologies that are compatible with MagnaChip's display driver ICs. 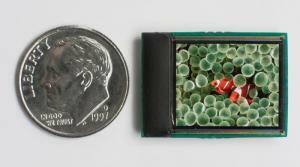 MagnaChip announced its first partner - ELAN Microelectronic. This collaboration will mostly focus on stylus input technologies. OLED microdisplay maker eMagin announced that it agreed to sell 4 million shares to an institutional investor at a purchase price per share of $0.50 in a registered direct offering (eMagin stock price was $0.78 before the announcement). eMagin also issued unregistered warrants to purchase up to 3 million shares of common stock at an exercise price of $0.78 per share to the investor. According to Reuters Japan Display has signed a deal with Apple to supply OLED screens for Apple's 2019 Watch device. Reuters gets its information from "two sources familiar with the matter". Apple's 2018 Watch Series 4 uses a 1.57" 394x324 LTPO AMOLED display (1.78" 448x368 on the larger 44mm version). Apple's current exclusive smartwatch display supplier is LG Display. OLED microdisplay maker eMagin reported its financial results for Q4 2018. While eMagin sees growing demand for its products and an increased backlog ($10.6 million as of the end of 2018), the company experienced a manufacturing equipment related issue in Q4 which resulted in lower yields and loss of production. Revenues were $5.4 million (down from $6.4 million in Q4 2017) and the net loss was $2.5 million. Looking at the whole year of 2018, revenues were $26.2 million (up 19% from 2017) and net loss was $9.6 million. As of December 31, 2018, the Company had approximately $3.4 million of cash, cash equivalents. 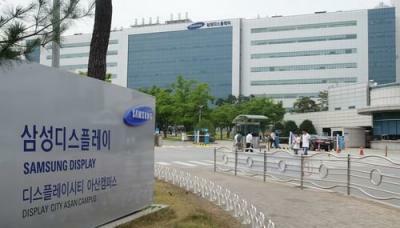 Samsung Electronics announced that it expects its first quarter earnings to be below market expectations - due to weakness in its display and memory businesses. Samsung says that LCD prices have dropped more than expected and demand for its flexible OLED also declined. 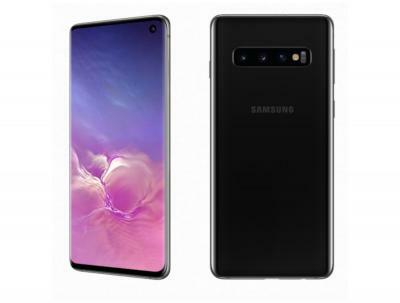 Analysts from Susquehanna Financial Group estimate that a weak smartphone market and a "dramatic" decline of Apple iPhone OLED orders caused Samsung Display's revenue to decline around 50% compared to Q4 2018. DSCC released the interesting (but confusing, note the legend starts at 350M) chart below, detailing the market share of smartphone OLED producers in 2016-2019. As can be seen Samsung will remain the dominant producer, but its market share in 2019 will drop from 94% in 2018 to around 85%. Non-SDC shipments will increase to 73 million units in 2019 - led by LG Display (~25 million units), BOE (around 20 million) and Visionox (around 15 million units). CLSA released an interesting investment note and details Samsung Display's 2019 plans and expectations. Samsung's A3 flexible OLED line suffered from low utilization (52% in 2018) and Samsung hopes to improve this to 70% in 2019. Samsung shipped 145 million flexible OLEDs in 2018 and aims to sell 215 million in 2019 (a 48% increase). In 2018 Samsung shipped 7 million flexible OLEDs to Chinese phone makers, and it aims to increase this to 40-45 million in 2019 (CLSA is skeptical of Samsung's ability to meet its target - even though the company seeks to cut its prices and offer volume discounts and offer the lower specification panels to mid-range smartphones). CLSA sees SDC's average flexible OLED price declining 15% in 2019.